Outdoor chairs have to be one of the essential caravanning and motorhoming accessories for enjoying relaxing outside with your ‘van? 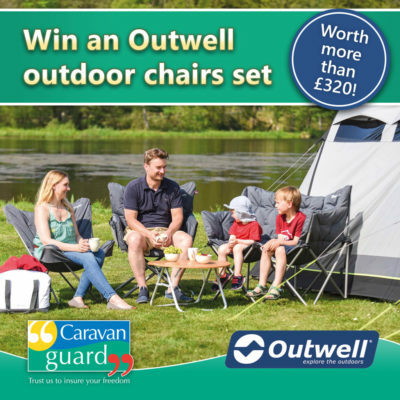 In our recent gear guide on outdoor chairs, we took a look at two from the Outwell Relax Range and this month we have the Outwell Sardis sofa and two Outwell Grenda chairs to give away – a prize bundle worth more than £324! The Relax Range of light and sturdy outdoor furniture offers convenient designs and exceptional home-from-home comfort, combining rugged powder-coated steel frames with durable, well-padded, two-tone and solid fabrics in three styles of chair, a cosy sofa for two, single chair and a hammock. Our prize includes the Sardis sofa and Granada chair. The Sardis is a comfy, thickly padded sofa with a strong powder-coated steel frame that opens and folds in seconds. There’s a handy side pocket and comfortable armrest design for good support. 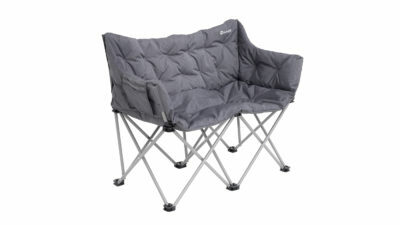 The sofa has a carry bag for easy storage and transportation, with a hook and loop strap to keep the pack size small. The Grenada chair has similar design features as the Sardis but has a detachable padded cover. It folds nice and flat for easy storage. 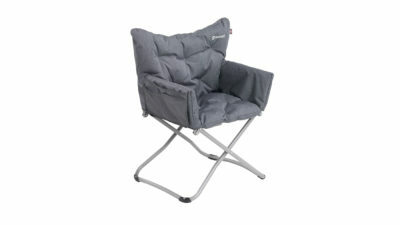 For a chance to win this fantastic outdoor chair bundle click on the button below. To find out more about the Outwell range of outdoor furniture visit their website. Winner details only to be passed to Outwell to post out the prize. Closing date for entries: 11.59pm May 6th, 2019. It is good to learn what is currently on the market and would be wonderful to win. A very informative and independent example of chairs that are currently on the market. A big help indeed.